It’s no secret that today’s shopping enthusiasts are interested in more memorable, curated retail experiences, and Goodyear is rolling with the changes. 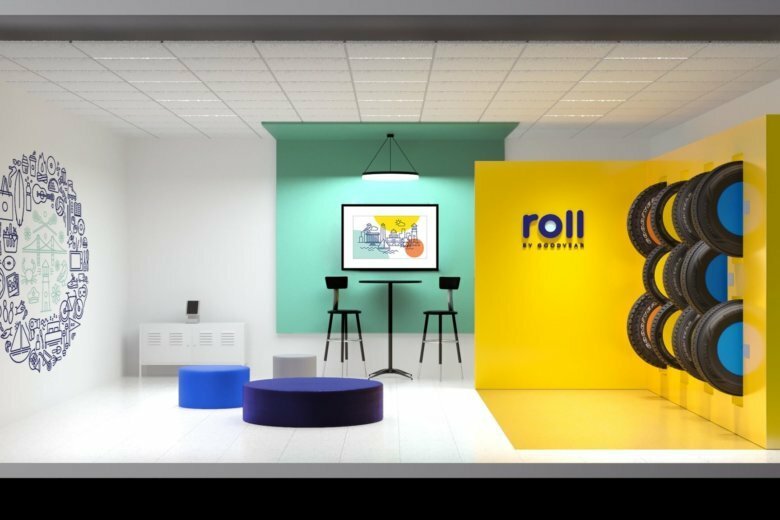 As one of the first automotive product brands to step up to the experiential retail plate, the well-known tire brand is launching its newest and most unique store concept yet: Roll by Goodyear. Located in the Washington, D.C. area, these five retail locations will feature showrooms with contemporary, colorful design elements situated in booming lifestyle centers alongside other popular retailers, as opposed to the typical brick-and-mortar retail shops that can be found adjacent to mechanics garages. At Roll, shoppers have the opportunity to select their products from the showroom or shop online. One installation option includes leaving your car at the showroom and having it returned valet-style after being serviced. Learn more about Roll by Goodyear here.